RUSH: I can now conclude, I can announce I have my own investigation going, and I’m gonna tell you what. This isn’t about collusion with Russia anymore. There’s no “there” there. There’s no evidence. And even this dummkopf Brennan testified. What a bunch of obfuscation we’ve had to put up with from this guy, Obama’s CIA director. I mean, this guy’s been trying to say that Trump and the Russians colluded without saying it. “Well, I haven’t seen it personally, no. That’s not say it hasn’t happened, but I, John, Brennan, see, I’m not –” It’s just typical BS. It’s an entirely manufactured story. And I’ll tell you what this has become now. This is a process crime. They’re now gonna try to nab — this is why Flynn is wisely taking the Fifth Amendment. This is why Flynn is rejecting the subpoena. It’s why Flynn’s not gonna show up here because they’re not looking for evidence. They don’t have any evidence. There isn’t gonna be any evidence of collusion. And despite that, here’s Brennan going on and on about this is unprecedented, it is unusual. The Russians are doing this and the Russians want to divide us. The Russians want to make us even more partisan than we are, as though this has never happened before. Look, Washington, D.C.’s a big town, it’s the most powerful town in the world, and people all over the world try to influence what happens there, including the ChiComs, including our allies, including our enemies. It’s an ongoing effort and has been for years, my friends. You know this as well as I do. And these people are trying to say that there’s something brand-new and unprecedented with Trump, ’cause Trump shouldn’t have won. There’s no way Trump could win. He had to have cheated. He had to work with the Russians, but there isn’t any evidence. So what are they going to do? They’re walking back impeachment. Now Podesta has joined that chorus. 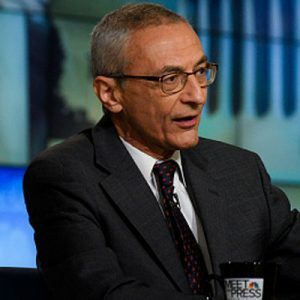 “I don’t think Trump should be impeached.” Podesta is saying so. There’s a survey of people at Harvard saying, “I don’t think Trump’s gonna be impeached.” They’re walking that back. So what they are doing, is they’re heading down the tracks to process crime the way they got Martha Stewart, the way they got Scooter Libby. They’re trying to focus on either lying, talking to agents, or obstruction of justice, which is what they zeroed in on with Nixon. But they’re not gonna let it go. When we get to the sound bites you’re gonna hear later today (chuckling), CNN is really conflicted. I mean, they want to cover the terror story but they just can’t let go! They can’t let go of the Trump-colluded-with-Russians story ’cause they think if they let it go, the story will go away. It’s like they were afraid if they let go of the search for the Malaysia airliner somebody would find it while they were doing something else. So they never let go of it. Well, CNN won’t let go of this because they’re afraid if they do, some other network’s gonna find the evidence. (chuckles) There isn’t any evidence. 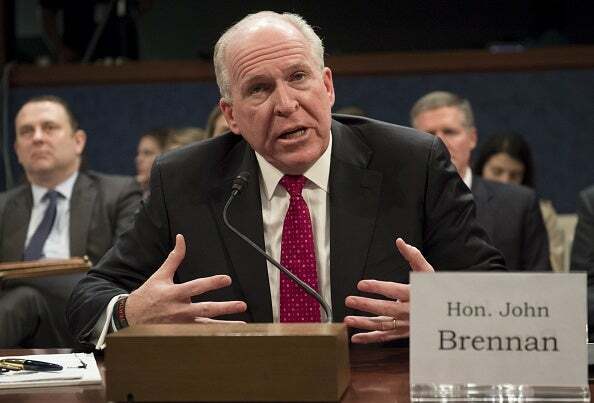 RUSH: Now moving on to the testimony on Capitol Hill today, John Brennan, the former CIA director for the Obama administration. This is another study in one-track mindedness, bias, bigotry, and everything you can roll into this. It’s all wrapped up into the furtherance of the narrative that the Russians colluded with Trump to steal the election from Hillary. Now, what’s beginning to happen is Democrats are starting to walk back the talk on impeachment. They are justifiably worried about what they have created out there. I don’t care what their education level is, I don’t care what their income is, I don’t care how sophisticated they are. They all believe, ’cause they read the New York Times. They all believe, ’cause they read the Washington Post. They all believe, ’cause they watch CNN, CBS! They all believe Trump’s guilty. They don’t even doubt it. They’re just the waiting for the evidence. They thought Sally Yates was gonna have it. Now they think Comey’s gonna have it. They think Comey’s got it. It just hadn’t come forth yet. Somebody’s got it. Maybe some of the Trump people like Carter Page or Manafort, they’ve got it. They’re gonna get it, though, they’re gonna get it. They already know Trump colluded, Hillary should have won, Trump cheated. They don’t doubt this. I’m talking about millions of deranged, unhinged, mentally unstable Americans who have been led to believe that this is the case. The people who have done the led-to-believing know it isn’t true. They now know they’ve got a problem. Those people’s expectations are pretty damn high, and if there is no criminal charge, if Trump is not arrested and charged and impeached, they’ve got a problem. They’ve got fundraising problems. They’ve got Democrats getting mad and deciding to stay home or voting for some wacko independent like Crazy Bernie down the road next time, who knows what. They are terrified of what they’ve created. They misjudged the sophistication of their own voters. They assumed that their voters would understand what this really is. It is nothing more than a full-court press to pressure Trump, to paralyze Trump, to distance Trump’s supporters from Trump, but it’s never been about really finding the evidence ’cause there isn’t any. And the idea that the Russians colluded in the election, that’s not new, either. Newt Gingrich was on Fox today, he said (paraphrasing), “You know what’s wrong with these hearings is the Republicans. Why are they allowing the focus of this to be one man, Donald Trump? Can nobody on our side ask a question of Brennan about collusion between the Clintons and the Russians?” Which is well known. It’s money. It’s time. It’s Russian banks. The Clintons have been in bed with the Russians for years. Why are there no questions about that? Why are there no questions about the banks that Hillary and Bill spoke to and accepted money doing business with the Russians? Where is any question on collusion between the Russians and Hillary for her to win the election via campaign contributions? It’s a valid question. Where are the Republicans? Well, we can answer that. The Republicans are side by side with their brethren in the establishment on all of this. This is all just a full-fledged dog-and-pony show. Even Byron York today has a piece. “At this rate, it won’t matter if Trump colluded with Russia.” A Scooter Libby witch hunt is what this is beginning to look like. They knew the leaker of Valerie Jarrett’s name, but they weren’t gonna go after him because he was an accepted member of the establishment, Richard Armitage. So they had to go after somebody because they led everybody to believe that these Republicans and Bush had committed crimes in Iraq and committed crimes against prisoners and torture, and had to get somebody, somebody had to pay for this lying by the media and Democrats. And that’s where we are here. So it’s changing into don’t expect Trump to be impeached. That’s being said more and more. And moving over to the process crime. We’ll let you hear some of the sound bites we’ve been talking about here. Well, there’s other support data on this, too. We’ll eventually get into what happened at the Ariana Grande concert. But I mean I pretty much touched on that to the extent that I’m going to. But I won’t mind repeating myself, it won’t take that long.